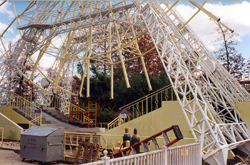 On the heels of Six Flags Great Adventure's record breaking season in 1995 when attendance surpassed four million guests for the first time, the park was at an all time high heading into 1996. 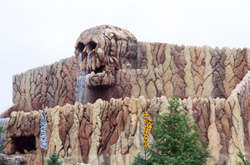 The big attraction for this year would be Skull Mountain, a mid-size indoor roller coaster meant to be enjoyed by both children and adults. The massive show building would be constructed on the former site of the Typhoon (Rotor) ride just outside of Adventure Rivers. 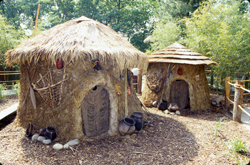 While the indoor ride would lack any major themed elements taking place mostly in the dark, the highly detailed outdoor queue line would set the stage for this adventuresome attraction. The Typhoon was not removed but simply relocated to an unoccupied plot just outside of Bugs Bunny Land. 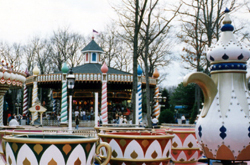 In addition, a Tea Cups ride was also added near the Carousel. The cups operated in 1996 without a roof covering but one was added the following season. On the Great Lake, the Lethal Weapon Water Stunt Spectacular was performed to cheering audiences. 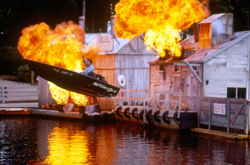 The show included fire, pyrotechnics, boat stunts, trick water skiing, and a storyline based on the Warner Bros. hit movie Lethal Weapon. 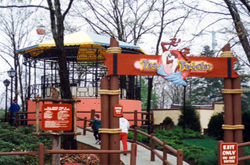 It often was performed to standing room only crowds and really upped the level of live entertainment Great Adventure now offered. 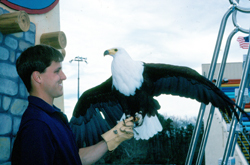 For a less intense nature-inspired show, Masters of the Sky bird show was presented in Fort Independence. New entertainment options extended into the fall months as well with the Fright Fest premiere of Dino Island at the Right Stuff Mach 1 Adventure theater. For the first time since the ride was introduced in 1994, the park's simulator film swapped out its high flying adventure film for a new computer animated dinosaur movie which scared guests with 3-D images and tricks. Dino Island proved to be a big success and returned for several years to come during the Halloween season. As 1996 wrapped up, several bonus weekends were added to the operating calendar. During these extra days at the park, the Space Shuttle, Phileas Fogg's Balloon Ride, Centrifuge G-Force, and the Movietown Water Effect's queue line were all in various stages of removal. 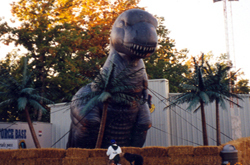 It was obvious Six Flags Great Adventure would be adding something big to Movie Town for 1997.